My चोटी, शीर्ष 5 Rachel solo's; You're Favourite? Which should be the अगला spot icon? Go प्रस्तुत करे icons&banners for the new spot look ? So I know I wrote another लेख a while पूर्व about my fave Rachel कोट्स from episode 1-13, so I thought I'd make another one with all of my fave कोट्स of hers from episode 14 to the season 1 finale! 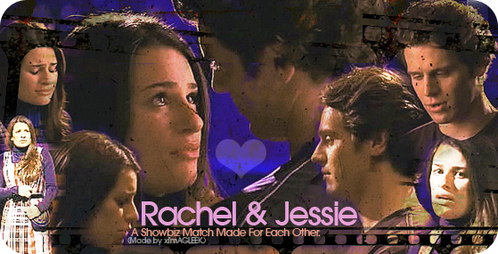 Rachel [to Finn]: I'm the only person in your life that knows you, and accepts आप for who आप are. Its where she started and while she loves being on tv, Lea’s दिल belongs to the New York Stage. ‘I want to play every musical role there is!’ she declares. Ambitious much?! A magazine लेख I found about all the things Lea Michele loves!! "I'm such a प्रशंसक of Idina Menzel. I think she's made a wonderful career in this business. I'd प्यार to be able to follow in her footsteps. People tell me I look like her all the time!" "I प्यार food! If anybody told me not to eat, I'd tell them to you-know-what themsleves!" "The theatre has my heart. I want to play all the different roles whether its Maureen in 'Rent' या Maria in 'West Side Story'. I would just प्यार to be involved in this business forever!" My fave Rachel कोट्स so far! Rachel: You're amazing, Mercedes, and आप deserve it. I'm gonna hug आप now. Rachel: [to Quinn] Hey, I know it's not my place, but have आप had the doctor run the full genetic test panel on your unborn child. I only ask because my cousin Leon and his wife got pregnant and then they found that he was a carrier for Tay-Sachs. Rachel: I've never told आप this before, but I'm a little psychic. I can't read minds या anything yet, but I do have a sixth sense. 2. She's completely obsessed and in प्यार with Finn. All आप need to know about Rachel! a comment was made to the article: 11 Reasons Why We प्यार Rachel Berry. Which Barbra Streisand's movie Rachel makes reference when she talk to Jessie in Carmel's auditorium?